Achiev­ing great­er trans­par­ency of pub­lic bod­ies is a cent­ral theme of the Government’s pro­gram­me. The Sec­ret­ary of State for Com­munit­ies and Loc­al Gov­ern­ment has instruc­ted loc­al author­it­ies to take a pro­act­ive stance to pub­lish­ing all inform­a­tion. In so doing mak­ing sure that it is easy to find and under­stand. 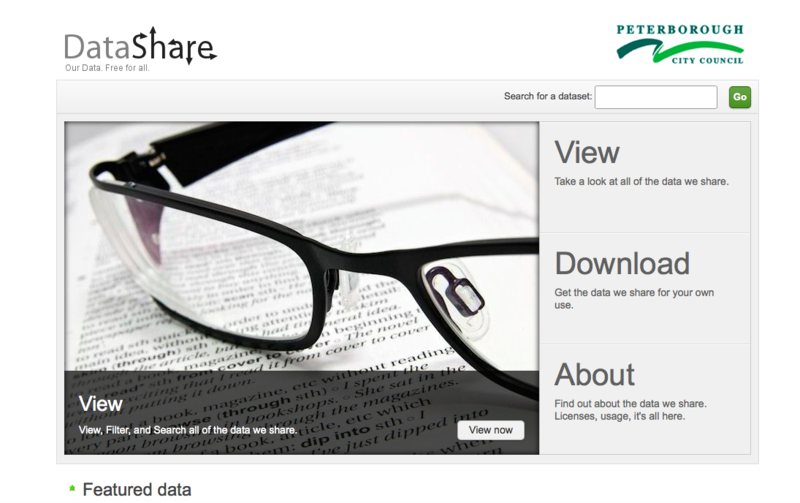 Data­Share is Peter­bor­ough City Coun­cils offer­ing for the pub­lic­a­tion of its inform­a­tion. Data­Share is being developed with the Lon­don Bor­ough of Red­bridge as a way to make access­ing and inspect­ing this data easi­er for every­one; as well as sim­pler for developers wish­ing to use the data in their applic­a­tions, web sites and wid­gets. To sup­port our com­mit­ment to trans­par­ency, involve­ment and innov­a­tion we will work towards mak­ing all pub­lic data (that is not sens­it­ive or per­son­al) freely avail­able to view and down­load in a vari­ety of formats.